At the higher end, getting into a luxury sedan is going to cost more than the average car. Still, you get what you pay for, and these five luxury vehicles prove that you can find the best car leases under $500 per month. 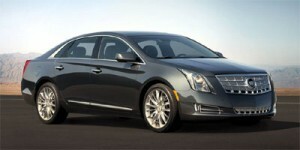 2013 Cadillac XTS Luxury – An all-new model for 2013, the Cadillac XTS is a large luxury sedan that features a spacious and luxurious interior, a roomy back seat, huge trunk, and plenty of standard features. Included are push-button start, rear parking sensors, backup camera, dual-zone climate control, Brembo brakes, Magnetic Ride Control, 19-inch aluminum wheels, the Cadillac CUE information and media control system, eight-speaker Bose audio system, and free maintenance. Lease the 2013 Cadillac XTS Luxury trim for 36 months at $469 per month, with $4,219 payable on signing. 2013 Hyundai Azera – For a comfortable driving large sedan, the 2013 Hyundai Azera, while considered an affordable car, offers consumers a spacious and upscale interior, a long list of standard features, and sleek exterior styling. The Azera is powered by a V6 engine mated with a six-speed automatic transmission and EPA-estimated fuel economy is 20 mpg city/29 mpg highway. Standard equipment includes a backup camera, push-button start, leather seats, navigation, Bluetooth, dual-zone climate control and more. 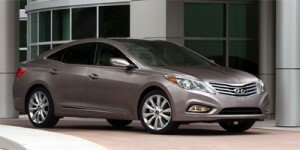 The Hyundai Azera is being offered with a 36-month lease at $469 per month with $0 due at signing. 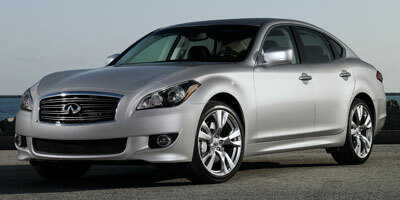 2013 Infiniti M – If you’re looking for luxury, athletic performance and user-friendly tech features, consider leasing the 2013 Infiniti M. On a 39-month lease, the Infiniti M comes in at $479 per month (rear-wheel drive) or $499 per month (all-wheel drive). In both cases, the amount due at signing is $4,199. Standard features include a moonroof, a rearview camera and six-speaker audio system with Bluetooth, satellite radio and a USB port. Some reviewers say the Infiniti M competes with the BMW 5-Series and the Mercedes-Benz E-Class on price, yet the Infiniti M offers more features standard. 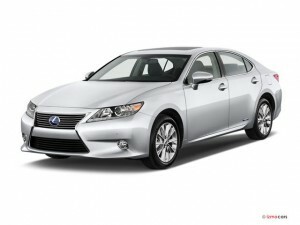 2013 Lexus ES Hybrid – At a monthly lease payment ranging from $449 to $469 for a period of 36 months, and with amount due at signing ranging from $3.719 to $4,354, it’s possible to lease the Lexus ES Hybrid in certain states and come in under the price bogey of less than $500. In the states of Alaska, Arizona, California, Colorado, Idaho, Oregon, New Mexico, Nevada, Utah and Washington, there is a 27-month lease at $509/month, with $3999 due at signing. 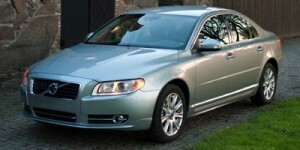 2013 Volvo S80 – During the Volvo summer sales event, it’s available to lease for 36 months at $469 per month and $2,899 payable at signing and no payments for the first three months. The S80 comes standard with a six-cylinder engine and six-speed automatic transmission. Front seats are considered especially comfortable and supportive and space in the back for passengers is adequate. Standard features include push-button start, an eight-speaker stereo with satellite radio, Bluetooth and audio streaming, a USB port and a six-disc CD changer. Another inducement to lease four of these luxury cars under $500 per month is the fact that all but the Lexus ES Hybrid have been named Top Safety Picks by the Insurance Institute for Highway Safety (IIHS).